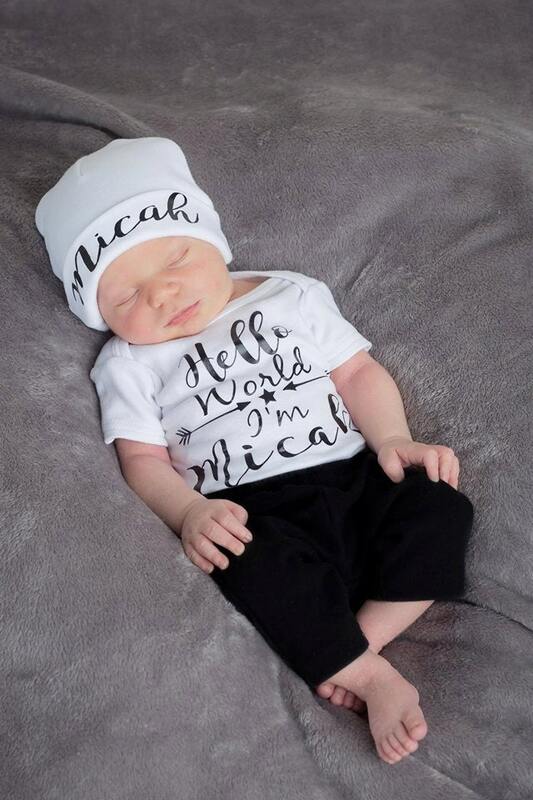 Personalized Newborn Boy Take Home hat is white with black script writing. 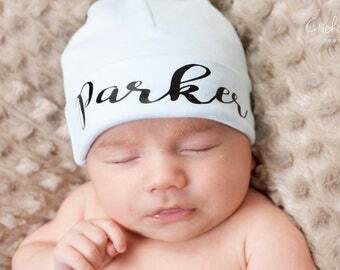 Personalized with your newest editions name. 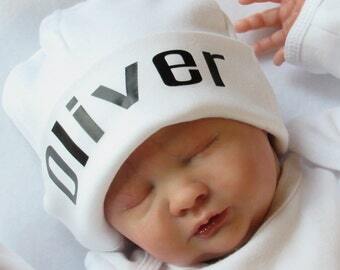 Perfect for a baby shower gift, to take your newest baby boy home from the hospital or for those first newborn photos. 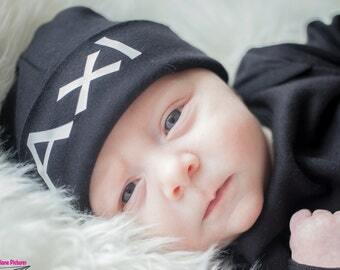 Great for trendy newborn boys or girls! Came out perfect!! I love them so much!! 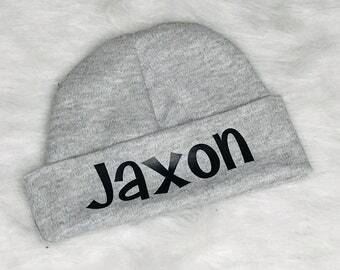 Will be ordering more!